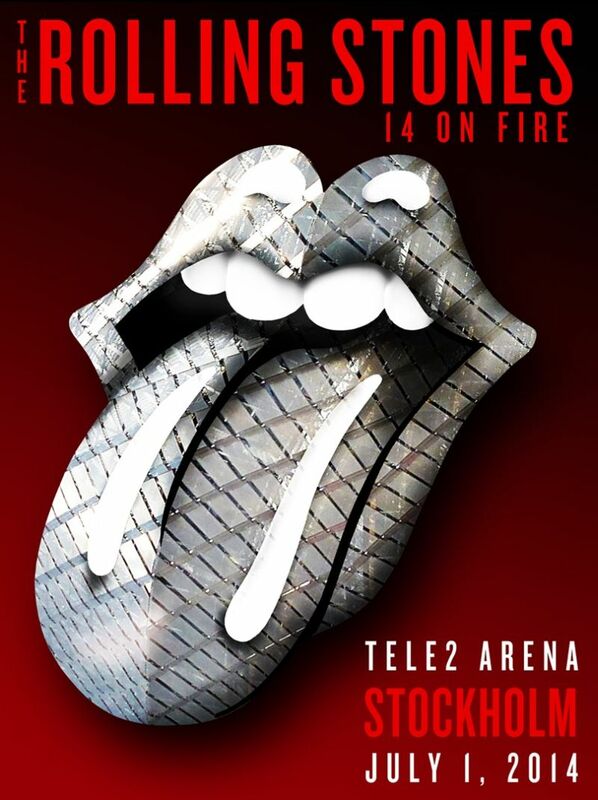 This thread is for live updates and comments regarding The Rolling Stones show at the Tele2 Arena, Stockholm, Sweden, 1 July 2014. Please tell us your pre- and post-show thoughts and comments here. Show start probably early today, some say 8:45pm. Be there early! Edited 2 time(s). Last edit at 2014-07-01 16:07 by bv. Just made it to Stockholm after an overnight flight from Boston, via Iceland. Not much to report - but I did see a bunch of folks waiting and hoping for a glimpse outside the Grand Hotel. Making my way over to the Tele soon. Yay! 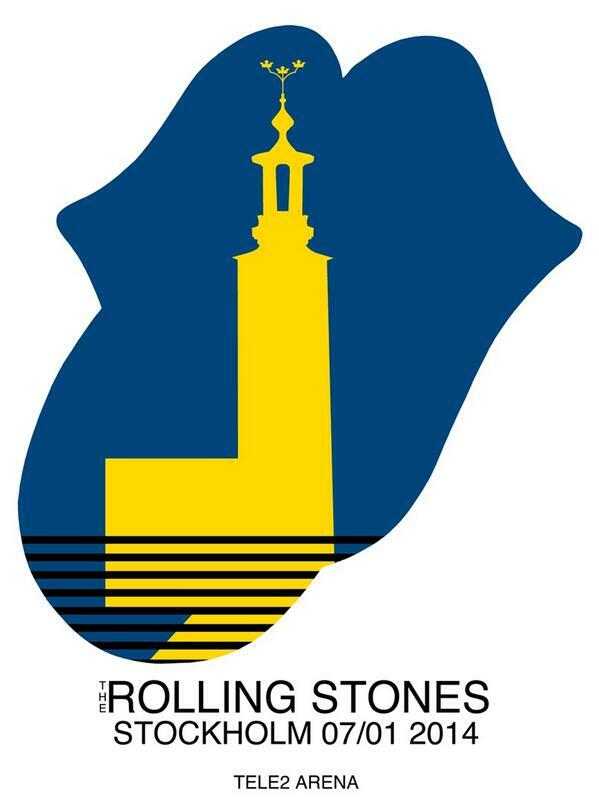 THE ROLLING STONES IN STOCKHOLM SWEDEN!! I wish WahWahWoody, BV, and all others from Sweden and fans that´s been travelling from abroad a great concert tonight in Stockholm!! Everybody seems to ready, are YOU ready WahWahWoody? Edited 1 time(s). Last edit at 2014-07-01 16:40 by sir sweden. Nice shot of the stage! Just started pouring rain. Oh-oh . . . .
but this will be an indoor show? To those goin. Have a great time, be safe and respect others!!! Edited 1 time(s). Last edit at 2014-07-01 19:32 by blackbird. Entrance was a bit of a mess again. People without numbers pushed from behind and the order got mixed up. But I regained some ground and was able to get a spot along the catwalk, about down the middle. Keith's side. The FOS is small, it ends at the small stage. 25 mins until the first opening act. Have a good time, everyone! Well done Topi, we are on the rail, Keith's side. Looking forward to seeing this show inside. Very empty still but a while before the Stones come on. Yes, I saw you! You did good! Talk to you after the show! It rained ALOT just 30 mins before they opened the doors. Luckily I had an umbrella. Not such a mess on Ronnie's side. First row facing Chuck's Keyboards and Bernard's mic stand. Live-Updates for the Show today again on [www.rollingstones.com] . The Stones are on stage 9:05pm CEST - [Twitter.com] . Have a nice time, Neil! It's hard for me to stay at home right now. Edited 1 time(s). Last edit at 2014-07-01 21:02 by hitti. have a great show everyone! predicting this one to start at 9 local time? Charlie's got the police on his back!!!!! Ronnie photo is from yesterday. Edited 1 time(s). Last edit at 2014-07-01 21:41 by bye bye johnny.